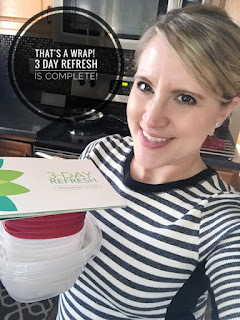 I am officially a 3 Day Refresh graduate! AGAIN! I've been a Coach for a few years now so the 3 Day Refresh is nothing new to me. 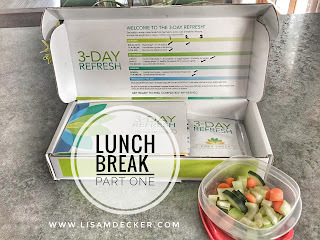 I like to "Refresh" every couple or so months because I feel like it gives my body a good cleanse. Sometimes I use it to break a plateau, sometimes I use it to help me get rid of some bad habits, sometimes I use it before an event or vacation, and sometimes I need it for AFTER a vacation or holiday. You really can't go wrong! 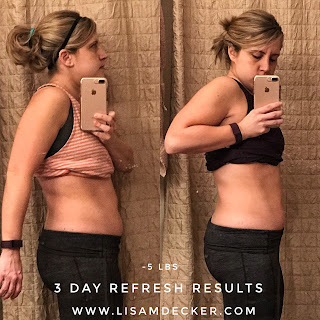 I've done the 3 Day Refresh about 6 times now and my results vary based on how strict I am. Obviously, if you follow it to a T then you are going to get the best results. I've lost anywhere from 3-6 pounds, multiple inches, and my "bloat" ALWAYS goes away. So, do I think the 3 Day Refresh is a good investment? You bet I do! It's a HEALTHY way to rid your body of toxins and even drop a few pounds in the process. This program is good for anyone who wants a fast, clean break - to drop a few pounds in a hurry or break some bad habits. 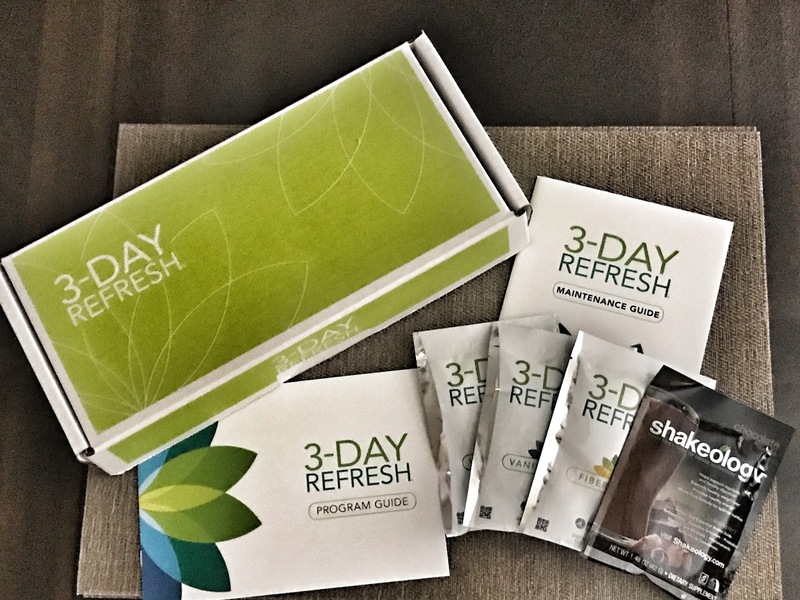 The 3-Day Refresh consists of 3 daily shakes (Shakeology, Fiber Sweep, and Vanilla Fresh), plenty of filtered water, a wide variety of fresh fruits, vegetables, and healthy fats. By incorporating all of these components throughout the day, your energy and metabolism will stay consistent. 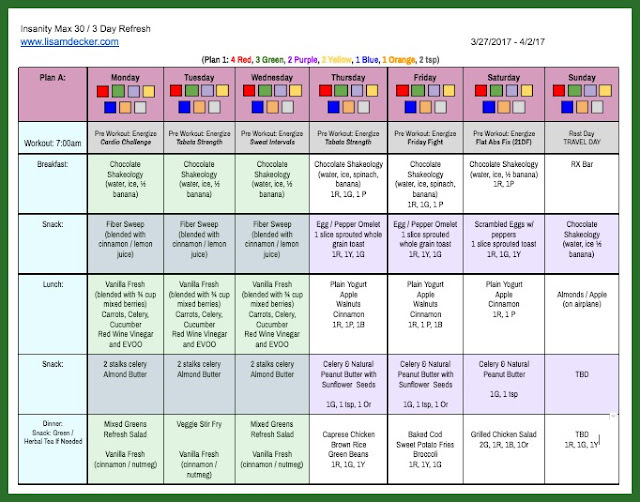 There are several options for your lunch, snacks and dinner so you are not limited to the same thing every day. Shakeology - You are required to drink Shakeology for your breakfast each day. 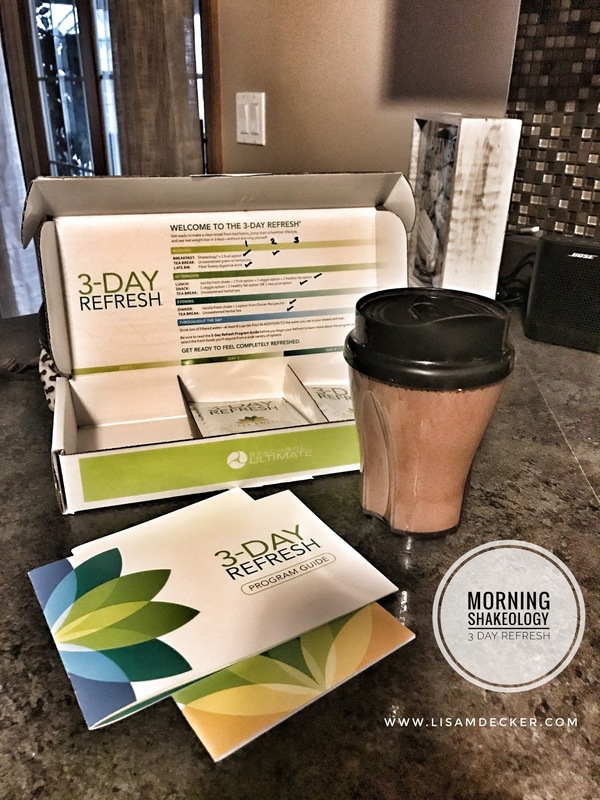 Shakeology is a nutritionally dense shake (not a protein shake) that will provide you with energy, curb your cravings, help with regulation, and aide in weight loss. It is loaded with vitamins/minerals and 70+ Super Foods. You are allowed to mix is with water, a serving of fruit (optional), and any of the guilt-free flavorings (optional). If you opt to NOT mix it with fruit, you DO get a fruit option for breakfast along with your shake. Fiber Sweep - The mid-morning snack throughout the 3 days is called Fiber Sweep. It is a blend of soluble and insoluble fibers and is meant to gently and naturally eliminate waste from your digestive system. It is created from whole-ground flax, chia, and psyllium seed husks. Psyllium can help naturally lower cholesterol, support healthy blood sugar levels, and may reduce the risk of coronary heart disease. Flax and chia are sources of healthy omega-3 fatty acids. 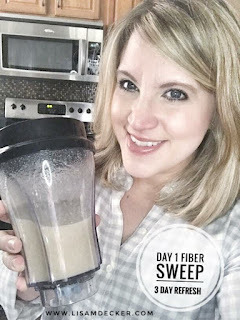 →TIP: In my opinion, Fiber Sweep tastes much better when BLENDED with a splash of lemon juice and cinnamon. Vanilla Fresh - For lunch and dinner (along with fruits and vegetables) you blend a Vanilla Fresh shake. This is a high-protein shake that not only helps satisfy your hunger throughout the refresh, but it delivers the essential nutrition your body needs for healthy weight loss. It is also an excellent source of fiber. It is both dairy and soy-free. 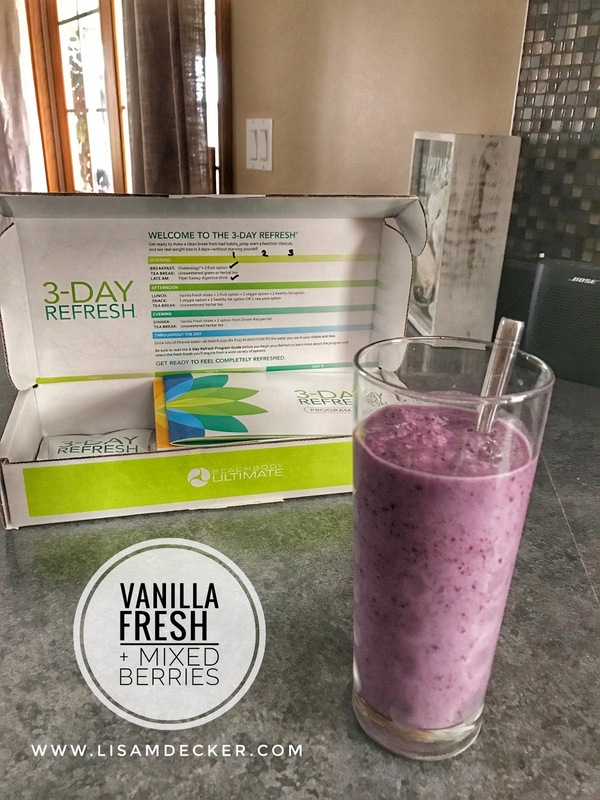 A few facts about Vanilla Fresh include: 20 grams of wholesome plant protein to maintain lean muscle, 22 essential vitamins and minerals, probiotics to help promote digestive and immune health, clinically tested potato protein extract to help curb hunger, and NO artificial flavors, colors, preservatives, or sweeteners. →In MY personal opinion, it tastes great when blended with some frozen mixed berries for lunch! During dinner you can't blend with fruit but you can use some of the guilt-free flavorings, so I preferred to blend it with a dash of cinnamon, nutmeg, and a splash of pure almond extract. So what do you eat for 3 days? 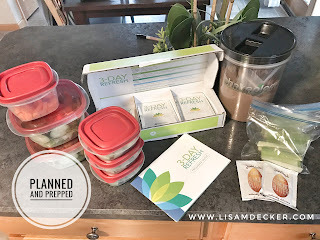 *Breakfast - Shakeology (blended in 1 1/4 cups filtered water) + 1 serving of fruit from the provided Refresh list (you can blend it with your Shakeology or eat a la carte). There are "guilt free" flavorings that you can use in your shakes or on your food, if desired. They include, but are not limited to: ground cinnamon, ground nutmeg, fresh herbs, pure flavor extracts, red wine vinegar. 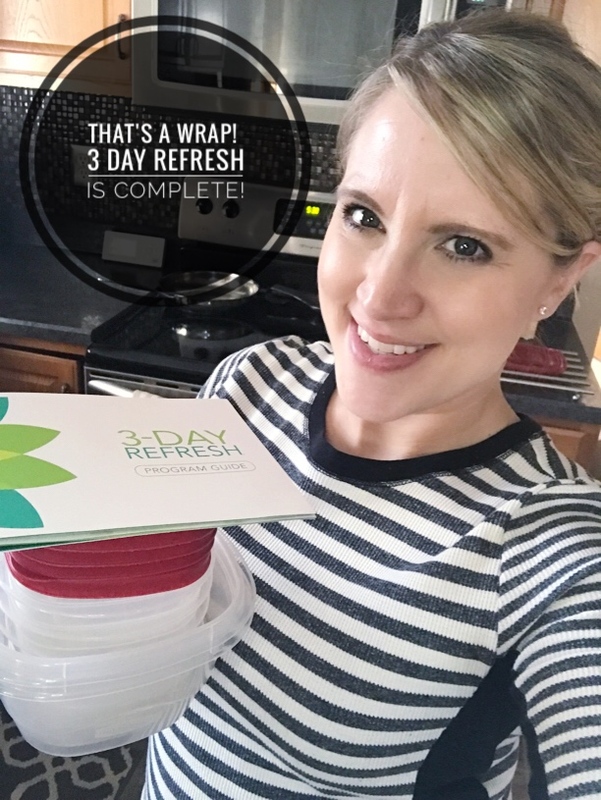 Now that you know a little about the program, let me share with you how MY 3-Day Refresh went! 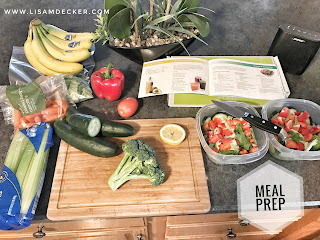 First thing first, I sat down and figured out what all I wanted to eat for my fruits, veggies, and dinners. Once I went grocery shopping, I came home and prepped EVERYTHING! I didn't want to be thrown off AT ALL; so, I wanted to be sure everything was in the fridge ready to go! 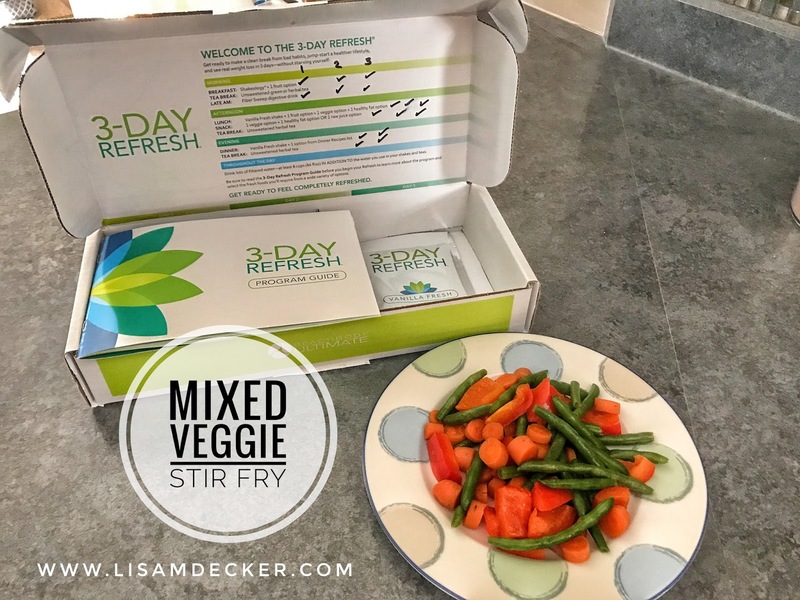 →Along with my vanilla fresh shake at lunch, I also had some mixed veggies topped with extra virgin olive oil and red wine vinegar. I ate that every day. 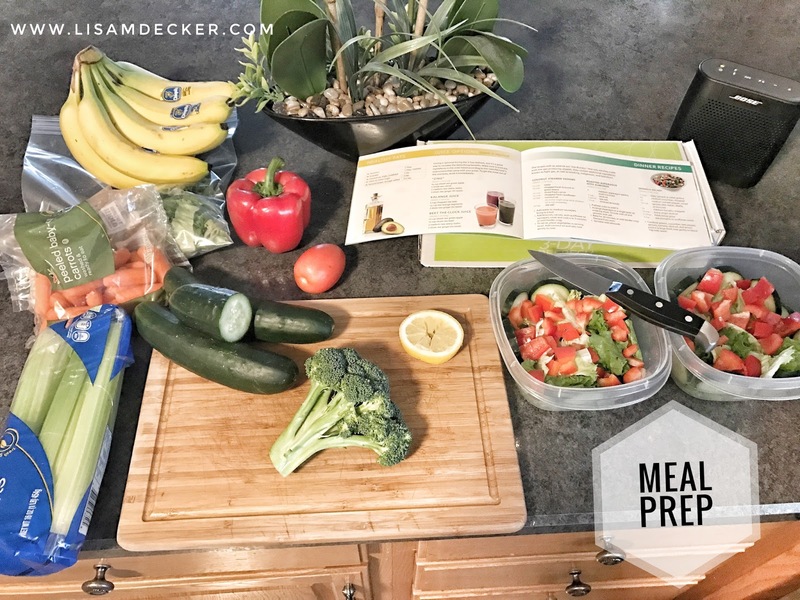 →Along with my vanilla fresh at dinner, I had a mixed greens salad (exact recipe is in the Eating Plan booklet) topped with red wine vinegar and some lemon juice. I had this Refresh dinner 2 of the 3 nights. →The third night I had Mixed Veggie Stir Fry (exact recipe is in the Eating Plan booklet) along with my vanilla fresh shake. Can you work out during the 3 Day Refresh? This decision is 100% your call. I like to exercise in the morning so the first morning was no different than any other. While I did plan to keep up with Insanity Max 30, I ended up doing a lower impact workout on the second and third morning. In the past, I have stuck with low impact workouts or nothing at all on day 2 and 3. While I did not have this option this time around, it is nice to replace a workout with a walk outside instead. 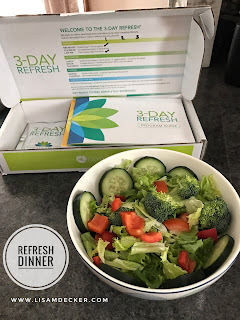 I was VERY happy with how my 3-Day Refresh went. I lost 5 pounds by the third morning!!! 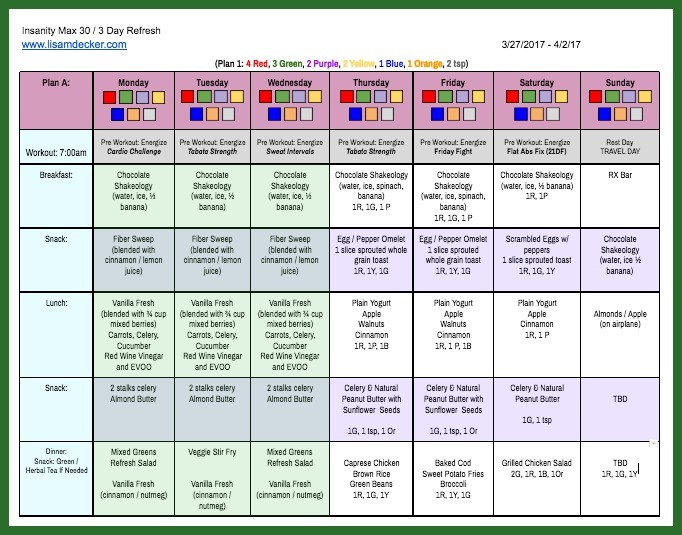 I typically drop another 1/2 -1 pound on the 4th morning as well, but since I am writing this on day 4 I can't say whether or not that will be the case this time around. While everyone's body's react differently, I personally had zero bathroom issues (that's a common question). You do drink a good bit of water so using the bathroom for that reason will happen. Throughout the 3 days you do get enough nutrients and food so that you aren't "starving," however, your willpower IS tested. Of course you are going to feel a bit hungry and want those evening snacks if that is something that you typically do. My advice is to go to bed early! Getting a good sleep is important and I will say that I slept like a rock all 3 nights! If you are someone who drinks a lot of caffeine or has a good bit of sugar throughout the day, you may experience a headache. I don't necessarily have a lot of either of those; however, in most cases, when I do the Refresh I typically get a mild headache on Day 2. (Day 2 is the toughest in my opinion). So what do you think? Does this sound like something you'd like to try? 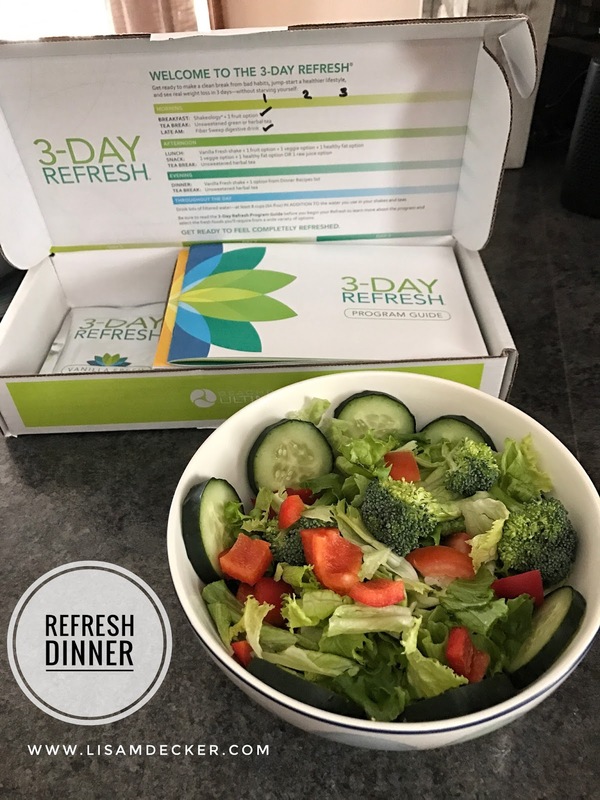 With Easter right around the corner (and all the candy that goes with it) the 3 Day Refresh would be a GREAT "candy detox" to have on hand! I will be kicking off my virtual "Spring Detox" accountability group on Monday, April 24th. I know that is a little ways away but if you'd like to take advantage of my early bird registration special and/or would like my 1:1 support prior to the 24th, fill out the form below and I will be in touch within 24 hours! Please note: My groups are for my personal customers so if you are not already actively working with a Coach, I'd love to chat and get you the support you are looking for to reach your health and fitness goals!